Trading in? Top 5 Tips to Get the Most Money! 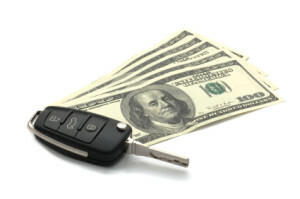 Do you know how to get the most money for your vehicle when you’re trading it in on a new car? First of all, do your homework! Go online and research current market value. Is the car you’re trading in popular or not so much? Have other similar vehicles been traded in at the same place? Do you know what your vehicle sells for at an auto auction? Websites like Kelley Blue Book and Edmunds are excellent resources that can give you a pretty decent estimate of the value of your car. Here at Beach Automotive, we like to use BlackBook because it usually provides a more accurate number for us and gives you a stronger value for your car. 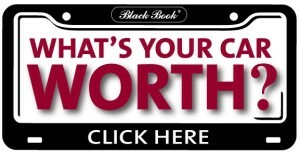 Click the picture to the right to find the value of your car! Second, don’t rely on what your friends and neighbors tell you about what they think your car is worth. Only a trained vehicle appraiser can give you a firm value for your vehicle. This means the appraiser MUST be able to look at and inspect your car in person. A reputable vehicle appraiser should never give you a firm value without personally looking at your car. It would be highly irresponsible of us to do so. At Beach Automotive, we take our jobs seriously. We won’t even give you a dollar amount over the phone before we’ve had the chance to appraise your car! Third, have your service records with you when your car is appraised. By having your service records available to see, we’ll know that you’ve been taking care of your car. We’ll also be able to see if you haven’t been taking care of your vehicle. At Beach Automotive, if you’re trading a vehicle in that has always been serviced at one of our Ford, Lincoln, Mazda and Volvo service centers or even at Quick Lane, that’s awesome! One of our highly trained service advisors will be able to provide your service records directly from our own system! Fourth, be upfront and honest about the condition of your vehicle. We’ll be able to tell if something’s not quite right. That will affect the value of your car. Some things we look for when appraising a vehicle are whether or not the tires match and the amount of tread life left on the tires. 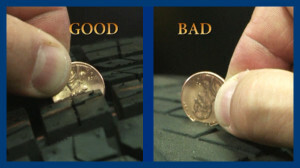 If you can place a penny upside down in the groove of the tread and the top of Lincoln’s head is still visible, your car needs new tires. That’s an expense we’ll have to take into account when determining the value of your car. The we have to spend money to fix your car, that will be less money in your pocket! Some other things we’ll look at are the condition of your windshield, the miles on your car’s engine and if there are any mechanical or electrical problems. Do you have two keys with working key fobs? If your car had been reported as being in a wreck, we’ll know about that too, just by looking at the CarFax report. Finally, we want you to know that what you owe on a vehicle does not reflect what its value will be. Likewise, what you have paid for your vehicle does not reflect in the value either. We realize and appreciate the love and respect you have for your vehicle, especially its appearance and functionality. However, please keep in mind that your car’s value will be determined with objectivity and impartiality. Here at Beach Automotive, we know that you want the most money for your vehicle. We WANT to give you the most money for it too! Now that you know the basics, come give Beach Automotive a try! If you’re in the market for a new car and will be trading in your current car, let one of our trained appraisers have a look at it and see how much money we can give you toward the purchase of your new car! Call us today to get the wheels on your new car rolling! 0 comment(s) so far on Trading in? 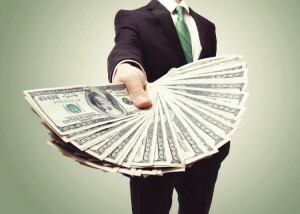 Top 5 Tips to Get the Most Money!